On August 30, 2018, the Ontario Court of Appeal released six unanimous decisions that address Ontario’s “anti-SLAPP” legislation. SLAPPs – Strategic Lawsuits Against Public Participation – are actions brought to silence or financially punish one’s critics, often by well-funded plaintiffs against more vulnerable defendants. These actions are generally not brought to advance legitimate rights, but, rather, to punish those who may speak out on matters of public interest. In an effort to deal with the growing concern over SLAPPs in Ontario, the provincial government enacted The Protection of Public Participation Act, 2015 (the “PPPA”) in November 2015, which was designed to aid in the identification and elimination of SLAPPs. The PPPA has been interpreted and applied unevenly at the Superior Court level in Ontario. The recent decisions by the Court of Appeal marked the first appellate interpretation of section 137.1 of the Courts of Justice Act, a new section created by the PPPA, and provided much-needed clarity on the appropriate interpretation of the tests to be met on anti-SLAPP motions. The purpose of s. 137.1 is crystal clear. Expression on matters of public interest is to be encouraged. Litigation of doubtful merit that unduly discourages and seeks to restrict free and open expression on matters of public interest should not be allowed to proceed beyond a preliminary stage. Plaintiffs who commence a claim alleging to have been wronged by a defendant’s expression on a matter of public interest must be prepared from the commencement of the lawsuit to address the merits of the claim and demonstrate that the public interest in vindicating that claim outweighs the public interest in protecting the defendant’s freedom of expression. Section 137.1(3) provides that, on a motion by a defendant to a proceeding, a judge shall dismiss the proceeding against that person if the judge is satisfied that the proceeding “arises from an expression made by the person that relates to a matter of public interest.” The defendant is permitted to bring this motion before filing a statement of defence. Once the defendant has satisfied the judge that the proceeding “arises from an expression made by the person that relates to a matter of public interest”, the onus shifts to the plaintiff, who must clear a “merits-based hurdle” and a “public interest hurdle”. (b) the defendant has no valid defence in the proceeding. If the plaintiff fails to clear both hurdles, the action will be dismissed. Justice Doherty, who wrote the reasons in all six decisions of the Court of Appeal, included the most detailed analysis of section 137.1 in 1704604 Ontario Ltd v Pointes Protection Association. The initial onus is on the defendant to satisfy the court on a balance of probabilities that: (i) the proceeding arises from an expression made by the defendant, and (ii) the expression relates to a matter of public interest. “Expression” includes non-verbal communications and private communications. A legal proceeding arises from an expression if that expression grounds the plaintiff’s claim in the litigation. [T]he concept of “public interest” as it is used in s. 137.1(3) is a broad one that does not take into account the merits or manner of the expression, nor the motive of the author. The determination of whether an expression relates to a matter of public interest must be made objectively, having regard to the context in which the expression was made and the entirety of the relevant communication. In determining whether a matter is of public interest, the motion judge is to apply the principles set out by the Supreme Court of Canada in Grant v Torstar Corp. This section requires a judicial assessment of the potential strength of the plaintiff’s claim and the availability of any valid defence to the claim. The section puts the onus on the plaintiff to satisfy the court on a balance of probabilities that the plaintiff’s claim has “substantial merit” and that the defendant has “no valid defence”. [I]t is not for the motion judge to decide whether he or she thinks that the claim has “substantial merit”. It is for the motion judge to determine whether it could reasonably be said, on an examination of the motion record, that the claim has substantial merit. An evaluation of potential merit contemplates a limited weighing of the evidence and, in some cases, credibility evaluations. A motion judge is not to simply take at face value the allegations put forward by the parties on the motion. In establishing that the defendant has “no valid defence”, Justice Doherty held that a plaintiff is not required to address all potential defences and demonstrate that none have any validity. Rather, the section contemplates an evidentiary burden on the defendant to advance any proposed “valid defence” in the pleadings and/or motion material filed. Once a defence has been put in play, the persuasive burden shifts to the plaintiff to satisfy the motion judge that there are reasonable grounds to believe that none of these defences are valid. Justice Doherty referred to this hurdle as “the heart” of Ontario’s anti-SLAPP legislation. He stated that under this section, the plaintiff has the persuasive burden of satisfying the motion judge that the harm caused to it by the defendant’s expression is “sufficiently serious” that the public interest engaged in allowing the plaintiff to proceed with the claim outweighs the public interest in protecting the defendant’s freedom of expression. [t]he motion judge must be able to make an informed assessment, at least at a general or “ballpark” level, about the nature and quantum of the damages suffered or likely to be suffered by the plaintiff. This does not require a fully developed damages brief, but the plaintiff must provide some material to quantify damages as well as material that can establish the causal link between the defendant’s expression and the damages claimed. A plaintiff’s claim will be dismissed if the plaintiff cannot meet its persuasive burden under either sections 137.1(4)(a) (merits-based hurdle) or (b) (public interest hurdle). A motion judge is under no obligation to address both and, depending on the type of case, it may be more straightforward for a judge to address one or the other. Cases which turn on the interpretation of a contract may be more efficiently and expeditiously resolved by way of a timely summary judgment motion. This series of decisions by the Ontario Court of Appeal goes a long way to clarify the framework within which anti-SLAPP motions will be determined. While these motions will always be determined on their own set of facts, these decisions are sure to promote more consistency in how anti-SLAPP motions are decided and will allow lawyers to better advise their clients on the risks and chances of success both in bringing and defending anti-SLAPP motions. 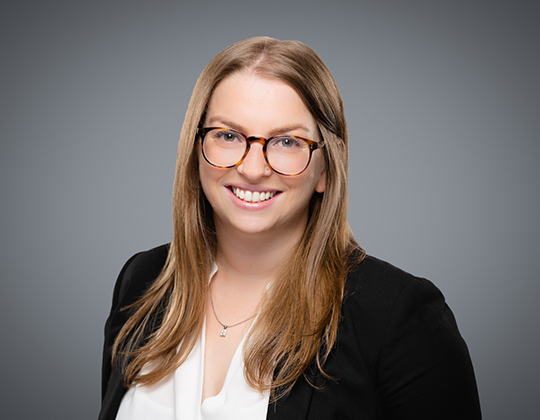 1704604 Ontario Ltd v Pointes Protection Association, 2018 ONCA 685 [Pointes]; Fortress Real Developments Inc v Rabidoux, 2018 ONCA 686; Veneruzzo v Storey, 2018 ONCA 688; Platnick v Bent, 2018 ONCA 687; Able Translations Ltd v Express International Translations Inc, 2018 ONCA 690; and Armstrong v Corus Entertainment Inc, 2018 ONCA 689. Pointes, supra at para 45. 2009 SCC 61 at paras 99-109. Pointes, supra at para 78.